Hard working, friendly and enthusiastic with nearly 2 years customer service experience at Safeway Stores. 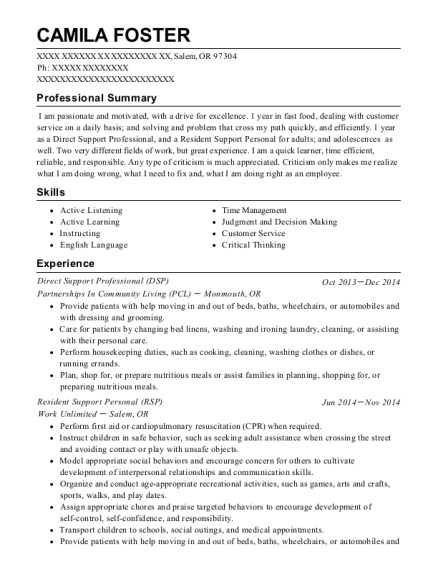 Able to learn new tasks quickly and proficiently with passion for excellent customer service. Oversee restocking of store shelves. Greet customers entering the store. Check customer purchases and accept payment. Calculate and count correct change back to customers. Interact with customers to promote positive experience. Monitor checkout station to ensure adequate cash available. Bag groceries to prevent damage or spoilage. Assist customers and other employees. Gather carts from parking lot as necessary. Performed any job to ensure smooth operations. 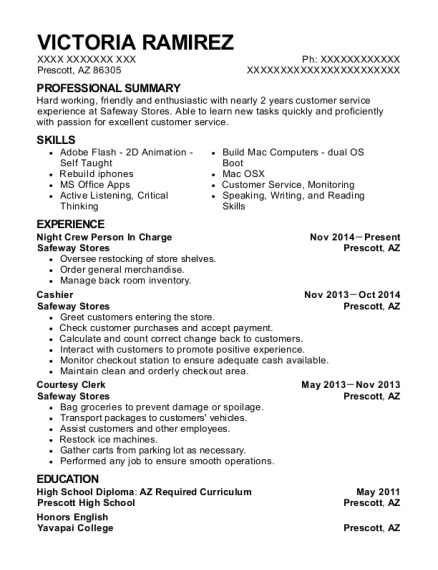 This is a resume for a Night Crew Person In Charge in Prescott, Arizona with experience working for such companies as Safeway Stores and Safeway Stores. 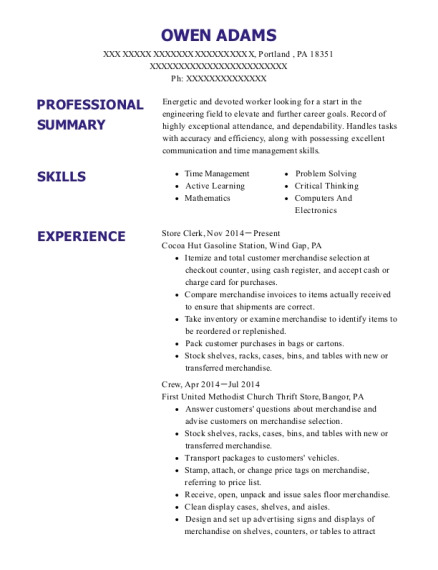 The grade for this resume is 0 and is one of hundreds of Night Crew Person In Charge resumes available on our site for free. 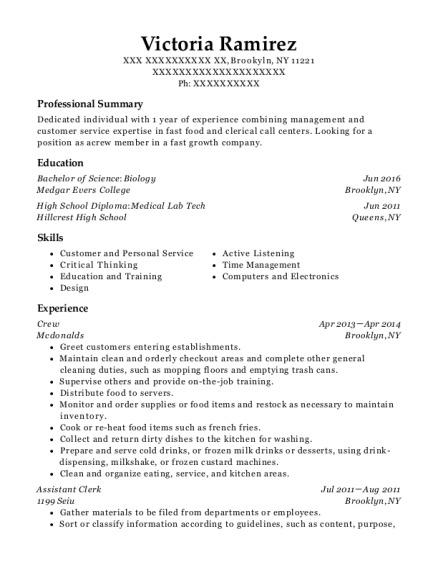 Use these resumes as templates to get help creating the best Night Crew Person In Charge resume.